Adam Woog rounds up new crime fiction by three top-drawer Canadian authors, including a new Inspector Gamache mystery by Louise Penny, plus new work by J. Robert Janes and Inger Ash Wolfe. Three new crime novels by Canadians demonstrate that our neighbors to the north do not always live up to their reputation for civility. 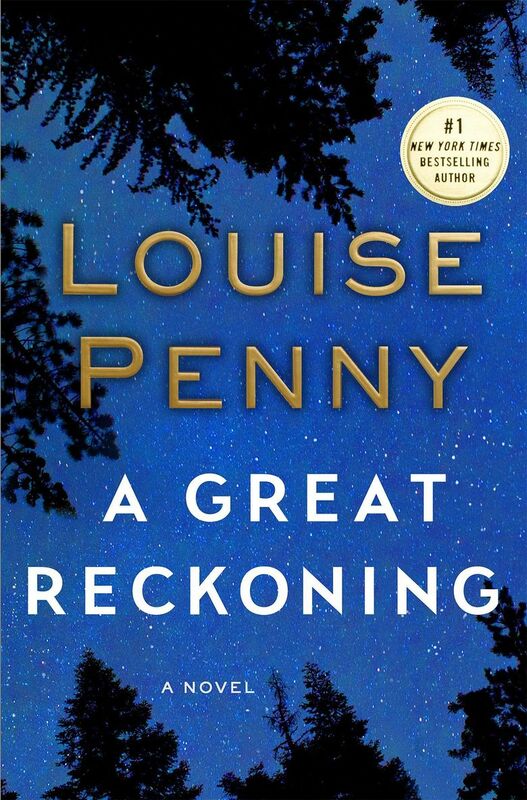 “A Great Reckoning”(Minotaur, 400 pp., $28.99), available Aug. 30, cements Québec resident Louise Penny’s status as one of Canada’s great gems in the crime fiction department. Her work is rich with luminous prose, complex but uncluttered plots, and profound compassion. Penny’s series hero, Armand Gamache, retired as a Montréal homicide detective, takes on a new challenge: heading Québec’s police academy. In the writer’s imagining, the institution’s administration is deeply corrupt, and Gamache’s mandate is to clean it up. Meanwhile, he takes under his wing four promising cadets, including a multitattooed and -pierced young woman whose harsh past is slowly revealed. To motivate the students, Gamache devises an exercise: uncovering the meaning of a strange map found during renovations of a cafe in Gamache’s hometown outside Montréal. When a vile instructor at the academy is murdered and a copy of the map is discovered in his office, suspicion for the death falls on (among others) the cadets — and on Gamache himself. Around this basic framework, Penny weaves a nuanced story that expands and deepens one of the writer’s enduring themes: finding hope in even the darkest circumstances. “The Little Parachute”(Mysterious Press, 328 pp., $15.99 paperback original) is by J. Robert Janes, a southern Ontario writer best known for his thrillers set in World War II-era occupied France and starring an unlikely detective team: St-Cyr and Kohler, respectively of the French police and the Gestapo. Here, Janes again focuses on occupied Paris and another unlikely pair. An enigmatic woman, Angélique, is being closely watched by the SS. But she’s not as focused on that as on protecting a solitary boy, Martin, who has been mute since surviving a horrific bombing raid. Martin obsessively draws and redraws the image of a parachute, and his little pictures hint at an explosive secret he holds. The book is marred by an irritatingly choppy narrative style, but, as with his earlier books, Janes excels at the details of his setting, bringing to life the daily humiliations and small joys of life in occupied Paris. 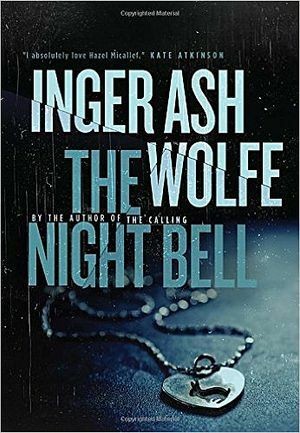 Inger Ash Wolfe is the pseudonym of Toronto resident Michael Redhill, and “The Night Bell”(Pegasus, 400 pp., $25.95)is his fourth book starring Hazel Micallef, a police detective of a certain age in fictional Port Dundas, Ontario. Micallef is an excellent companion, with a sardonic and slightly caustic sense of humor, and Wolfe’s book is a model of a good police procedural. A housing development is going up in her jurisdiction, and its early residents are upset about the developers’ string of broken promises and corrupt practices. Micallef’s team steps in following a grim discovery: the buried skeletons of children who once occupied an abandoned orphanage on the land. When three people connected to the event are murdered and a policeman is kidnapped, the national police — the Mounties — take over, but Micallef remains obsessed with the case. In part, this is due to painful memories: when she was a teen in Port Dundas, her brother was accused of killing a girl who went missing and was never found. In local news: former Seattle Times dance critic Carole Beers taps into her long experience as a horsewoman for “Saddle Tramps” (W & B, 306 pp., $17.99 paperback original), a spirited tale about Pepper Kane, a reporter turned show-horse rider who investigates the death of a prize horse (but does not neglect her gentleman friend, a Lakota policeman). Author appearance: Carole Beers will sign “Saddle Tramps” at noon Sept. 7 at Seattle Mystery Bookshop, 117 Cherry St. (206-587-5737 or seattlemystery.com).